Follow Bruce Croft (@wbc11) on Twitter to get descriptions of our new IR papers. CIIR co-Director James Allan was elected treasurer of the Computing Research Association (CRA) Executive Committee for a two-year term starting on July 1. More details. Bob Cook, former CIIR managing software engineer, died unexpectedly on November 18, 2018 at the age of 57. More on Bob's life and career. A CIIR paper received the Best Short Paper Award at SIGIR 2018. The paper, "Cross Domain Regularization for Neural Ranking Models using Adversarial Learning," was co-authored by CIIR Doctoral student Daniel Cohen and Distinguished Emeritus Professor Bruce Croft along with Microsoft's Bhaskar Mitra and Katja Hofmann. In addition, a paper presented at SIGIR 2006, "LDA-based document models for ad-hoc retrieval," by Xing Wei (CIIR alum, Ph.D. '07) and Bruce Croft, was selected for the SIGIR 2018 Test of Time Award Honorable Mention. Distinguished Professor Bruce Croft is retiring this spring after spending his thirty-nine-year career on the computer science faculty at UMass Amherst. He is setting aside his faculty responsibilities to focus on research and on directing the Center for Intelligent Information Retrieval (CIIR), which he founded in 1992. Read the full article on IR research pioneer Bruce Croft's career and retirement. Check out the photos from Bruce's May 22, 2018 retirement party held in the Computer Science Building. 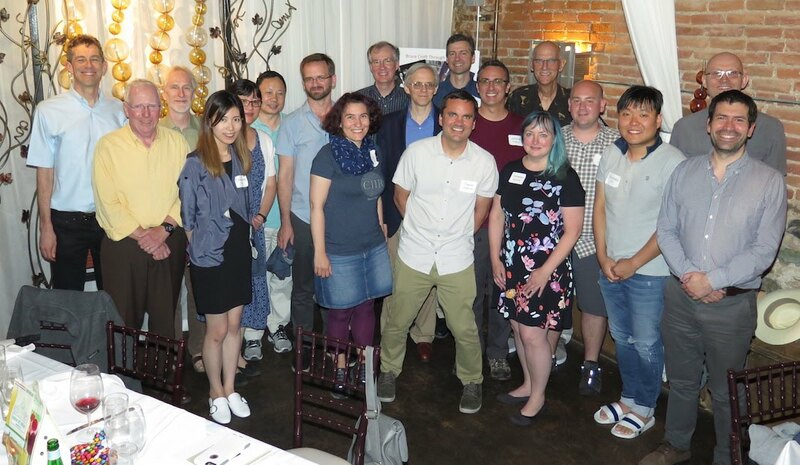 Prior to the start of SIGIR 2018, a group of Bruce's former Ph.D. students and CIIR collaborators gathered in Ann Arbor to celebrate his retirement. The 2018 ACM SIGIR Conference paper statistics show that CIIR authors are among the top producers of publications accepted at the conference to be held in Michigan in July. CICS Professor and CIIR Co-Director James Allan is one of five newly elected members of the Computing Research Association's (CRA) Board of Directors. His term runs from July 1, 2018 to June 30, 2021. Details . Nine current and former CIIR faculty, students, and postdocs participated as part of a group of 61 researchers in the Third Strategic Workshop in Information Retrieval in Lorne (SWIRL), held in Lorne, Australia on February 13-16, 2018. 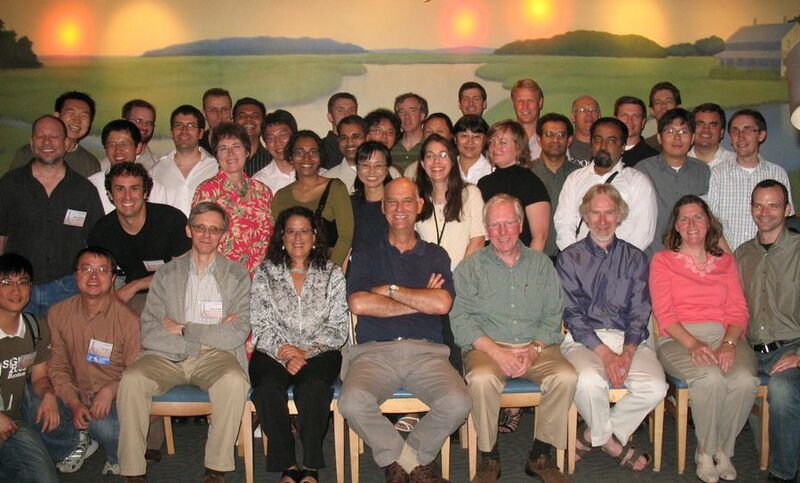 The goal of the SWIRL workshop (also held in 2004 and 2012) is to explore the long-range issues of the Information Retrieval field, to recognize challenges that are on (or even over) the horizon, to build consensus on some of the key challenges, and to disseminate the resulting information to the research community. The intent is that this description of open problems will help to inspire researchers and graduate students to address the questions, and will provide funding agencies data to focus and coordinate support for information retrieval research. The SWIRL participants included CIIR co-directors James Allan and Bruce Croft, along with CIIR alumni Jamie Callan (Carnegie Mellon Univ. ; Ph.D. alum and former faculty), Ben Carterette (Univ. of Delaware; Ph.D. alum), Jeff Dalton (Univ. of Glasgow; Ph.D. alum), Fernando (Spotify; Ph.D. alum), Laura Dietz (Univ. of New Hampshire; former postdoc), Mark Sanderson (RMIT; former postdoc), and Mark Smucker (Univ. of Waterloo; Ph.D. alum). In addition to the nine CIIR personnel and alums in attendance, nine of the other SWIRL participants have co-authored papers with CIIR researchers. The organizers of this year’s workshop were Shane Culpepper of RMIT (a research collaborator with the CIIR) and CIIR alum Fernando Diaz. A report will be published on the results of the three-day discussions among the researchers. More at: https://sites.google.com/view/swirl3/. CICS professor and chair of the faculty, James Allan, co-director of the CIIR, is featured in a new video highlighting his work in information retrieval. Watch it here. Professor James Allan, CIIR co-Director and Chair of the Faculty of the College of Information and Computer Sciences, was featured in the "CRA Board Member Highlight" article in the January 2019 issue of the CRA's Computing Research NEWS. Prof. Allan's three year term on the CRA Board of Directors began in 2018. The CIIR marks its 25th anniversary in September 2017. A CIIR history timeline was created to look back on the CIIR's 25 years. The CIIR is featured in an article in the CICS Significant Bits Fall 2017 newsletter (see reprint). Doctoral students Qingyao Ai and Ari Kobren (shown left to right) are this year's recipients of the College's Accomplishments in Search & Mining Awards, sponsored by Microsoft Research. More details on Qingyao and Ari. In August 2017, Professor James Allan gave a lecture, "Extracting Knowledge from Big Data - Information Retrieval," for the Hokkaido Summer Institute (HSI) course held at Hokkaido University's Graduate School of Information Science and Technology (IST). The HSI course, “Introduction to Big Data and Cybersecurity for Graduate Students,” was organized by Hokkaido's IST and their Global Station for Big Data and Cybersecurity (GSB), Global Institution for Research and Education (GI-CoRE). According to Hokkaido, the "GSB was launched in April 2016 as an interdisciplinary research hub to cover big data, information network, and cybersecurity promoting international collaborative research with the University of Massachusetts Amherst." CIIR doctoral student, Hamed Zamani, was chosen as one of six ACM SIGIR Student Liaisons. Laura Deitz, the ACM SIGIR Student Affairs Chair, announced the students on July 26, 2017. The students were chosen from regions across the world and will be formally introduced during the SIGIR 2017 conference being held in Tokyo in August. According to Dr. Dietz, "the goal is to make sure SIGIR students have the best network for their future career, by better engaging with the IR student community through student representatives. The liaisons will seek to support students by organizing social events at conferences, helping students network and gathering feedback through student specific forums to aid the SIGIR community as a whole." Hamed is one of two students who will represent the Americas & Australia. The students can be followed on Twitter at: https://twitter.com/sigir_students. Former CIIR Assistant Director and CICS alum, Jamie Callan (Ph.D. '93) received an Award for Outstanding Achievement in Research during the UMass Amherst College of Information and Computer Sciences 2017 Outstanding Achievement and Advocacy Awards ceremony held on campus on April 28, 2017. Jamie (center) is joined by CIIR co-directors James Allan and Bruce Croft to accept his award. More on the award at https://www.cics.umass.edu/oaa2017. The IR Lab gathered on November 4, 2016 for a research talk by Damiano Spina, a Research Fellow in the School of Science at RMIT University in Melbourne Australia. Dr. Spina is spending two weeks in the CIIR to collaborate with Distinguished Professor Bruce Croft and other researchers within the lab. The CIIR paper, "A Deep Relevance Matching Model for Ad-hoc Retrieval," was one of the three top "liked" papers of the first day of CIKM 2016, as identified by social media. The paper was co-authored by Jiafeng Guo, Yixing Fan, Qingyao Ai, and W. Bruce Croft. CIIR undergrad Tanaya Asnani launched a new iOS application called Swpr. that is intended to connect students with extra meal swipes on their UMass Amherst campus dining commons meal card with students in need of a meal. Asnani, a CICS major and CIIR research undergraduate, and co-developer Brian Ramirez, launched the iOS app on September 12, 2016. Full story on the Massachusetts Daily Collegian. CIIR co-directors Bruce Croft, dean of the College of Information and Computer Sciences (CICS), and James Allan, chair of the CICS faculty, were recently honored with six of their papers chosen for ACM SIGIR Test of Time Awards. View the full list of SIGIR Test of Time Award recipients. View the SIGIR Forum (July 2017, Volume 51, Number 2) Special Issue on Test of Time Awards from the Years 1978 - 2001 for more on some of these papers. As a runner-up in the challenge, the Aegis team received $10,000. Their proposal was to build a platform that would allow users to report crime incidents and observe the crime landscape in a city. Krstovski (shown third from the right), who received his Ph.D. from UMass Amherst CICS in May 2016, is currently at Harvard University completing a Harvard-Smithsonian Center for Astrophysics SAO Pre-Doctoral Fellowship. Doctoral students John Foley and Emma Strubell are the 2016 recipients of the College's Accomplishments in Search & Mining Awards, sponsored by Yahoo!. Emma has been doing ground-breaking work in efficient machine learning for natural language processing that can be run at large scale. This includes 5x - 10x speedups in part-of-speech tagging, parsing and named entity recognition with minimal loss of accuracy. For this work Emma won an ACL 2015 Outstanding Paper award. She is now doing new work in deep learning for NLP with similar goals. John received the award for contributions to IR research as well as support of the Galago search engine and its users. John's in-depth understanding of the Galago search engine has enabled him to be a valuable source of support in the IRlab. It has also allowed his research to touch on efficiency and data structures issues in ways that would otherwise be impossible. View the list of previous recipients. A team, advised by professor Andrew McCallum's Information Extraction and Synthesis Laboratory, produced the winning algorithm to take the top prize in an international competition sponsored by the U.S. Patent and Trademark Office (USPTO) and U.S. Department of Commerce. They designed a computer algorithm that rapidly removes inventor ambiguity from patent records, which will provide users more efficient and effective searches. Their winning approach will be incorporated into the USPTO's new online platform, PatentsView. View full article. The paper "Bayesian Inference for Information Retrieval Evaluation," authored by Ben Carterette (CIIR Ph.D. '08) received the Best Paper Award at the ACM SIGIR International Conference on the Theory of Information Retrieval (ICTIR 2015) held in September 2015. 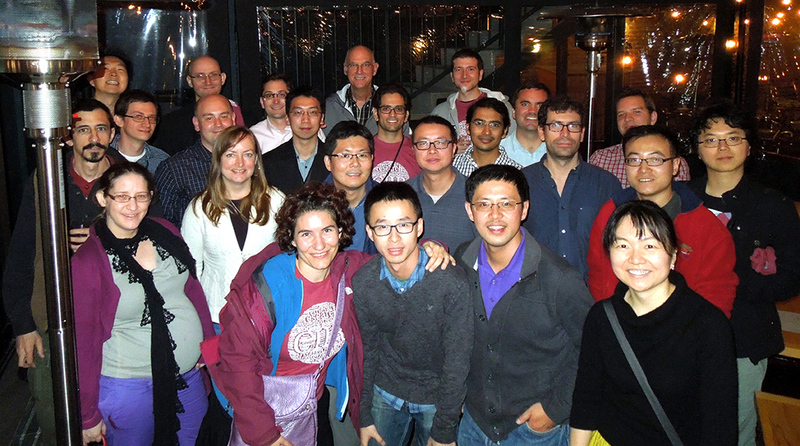 The ACM SIGIR International Conference on the Theory of Information Retrieval was held on September 27 - 30, 2015 in Northampton, MA. James Allan and Bruce Croft were the ICTIR 2015 General Chairs. Manish Gupta and Michael Bendersky (CIIR Ph.D. '12) co-authored Information Retrieval with Verbose Queries (Volume 9, Issue 3-4), part of the Foundations and Trends in Information Retrieval book series published by now publishers. The paper that appeared in SIGIR 2003, "Automatic Image Annotation and Retrieval using Cross-Media Relevance Models" by Jiwoon Jeon, Victor Lavrenko, and R. Manmatha, received an honorable mention for the test of time award at SIGIR 2015, Santiago, Chile. Also at SIGIR 2015, Bruce Croft gave a keynote talk, "Finding Answers in Passages", at the WebQA Workshop. On April 8, 2015, the UMass Board of Trustees approved the establishment of the College of Information and Computer Sciences with Bruce Croft being named interim dean. Upon Lori Clarke's retirement in June, James Allan took over as chair of the faculty. Doctoral student Venkatesh N. Murthy is a member of team "DeepPap" that competed against four other teams in the final round of the UMass Innovation Challenge held on March 31, 2015. DeepPap aimed to provide a low-cost and portable, automated cervical cancer screening system for the ‘point-of-care’ leveraging cutting edge technology to help screen more women, more often, for cervical cancer using pap-smears. The team placed as runners up in the final round. Doctoral students Chia-Jung Lee and Arvind Neelakantan are the 2014-2015 UMass Amherst School of Computer Science Accomplishments in Search & Mining Award recipients. Yahoo! has sponsored the Search & Mining Awards since 2009. View the list of previous recipients. Distinguished Professor Bruce Croft was selected to receive a UMass Amherst Outstanding Accomplishments in Research and Creative Activity Award was presented during the Faculty Convocation on September 12, 2014. Graduate students David Belanger and Samuel Huston are this year's recipients of the Department's Accomplishments in Search & Mining Awards, sponsored by Yahoo!. View the list of previous recipients. At SIGIR 2014, a new Test of Time Award was introduced (recognizing the best papers from 2002 to 2004). The 2002 paper, "Predicting Query Performance," by Steve Cronen-Townsend, Yun Zhou, and W. Bruce Croft received Honourable Mention. 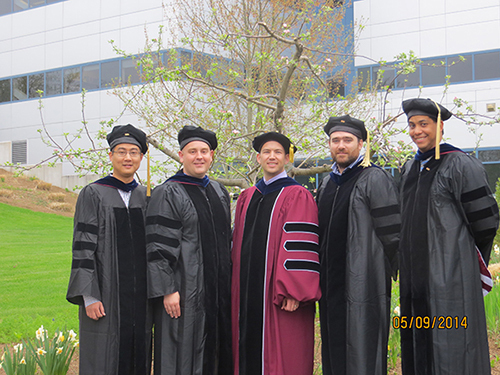 Seven of the CIIR's IRLab students received Ph.D.s during the 2013-2014 academic year. See photo of IRLab Ph.D. graduates who gathered for the CS celebration and campus graduate program graduation ceremony. Graduate students Jeff Dalton and Luke Vilnis are the 2014 recipients of the School's Accomplishments in Search & Mining Awards, sponsored by Yahoo!. View the list of previous recipients. Distinguished Professor Bruce Croft is a recipient of 2014 IEEE Computer Society Technical Achievement Award for "for outstanding contributions to information retrieval and the development of search engines." The award was presented on June 4th. Read more. During the CIKM 2013 conference held in San Francisco, CA, the CIIR/IRLab held a reunion on Tuesday, October 29, 2013. View the group photo from the gathering at Blue Line Pizza in Burlingame, CA. UKeiG (U.K. eInformation Group), in association with the International Society for Knowledge Organisation UK and the British Computer Society Information Retrieval Specialist Group announced that Professor W Bruce Croft is the 2013 winner of the UKeiG Tony Kent Strix Award. The Award is given in recognition of an outstanding contribution to the field of information retrieval. More details. During the Twelfth International Conference on Document Analysis and Recognition (ICDAR), graduate students David Wemhoener, Zeki Yalniz, and Research Professor R. Manmatha received the ICDAR 2013 Best Poster Paper Award for "Creating an Improved Version Using Noisy OCR from Multiple Editions." The conference was held in Washington, D.C. in August, 2013. CIIR Director Bruce Croft and Mark Sanderson (former CIIR Post-Doc; now a Professor at RMIT University) contributed to the 100th Anniversary Issue of the Proceedings of the IEEE with their paper "The History of Information Retrieval Research." More on the IEEE special issue. Marc-Allen Cartright, Henry A. Field and James Allan received the Best Paper Award at the BooksOnline 2011 Workshop (held during CIKM 2011) for their paper "Evidence Finding using a Collection of Books." In late 2006, Eric Brown (UMass Amherst CS Ph.D. ’96) joined a dozen other researchers at IBM's Watson Research Center and, under the lead of principal investigator David Ferrucci, took on the Jeopardy! Grand Challenge, where the goal is to build a QA system, named Watson, that can play the popular television quiz show Jeopardy! and beat a human champion. In a CS newsletter article, Dr. Brown describes the project. To showcase their results, Watson will compete against Jeopardy! champions Ken Jennings and Brad Rutter. The matches will air on February 14, 15, and 16, 2011. Assistant Professor Hanna Wallach (along with co-authors Ryan Prescott Adams and Zoubin Ghahramani) won the Best Paper Award at AISTATS 2010 (the Thirteenth International Conference on Artificial Intelligence and Statistics) for the paper "Learning the Structure of Deep Sparse Graphical Models." Professor James Allan was named to a 3-year term as Chair of SIGIR (the ACM Special Interest Group in Information Retrieval). ACM SIGIR addresses issues ranging from theory to user demands in the application of computers to the acquisition, organization, storage, retrieval, and distribution of information. CIIR alum Fernando Diaz (Ph.D. '04), former CIIR Research Professor and UMass Amherst CS alum Jamie Callan (Ph.D. '93), and co-authors Jaime Arguello (CMU) and Jean-Francois Crespo (Yahoo! Labs Montreal), received the Best Paper Award at the 32nd Annual International ACM SIGIR Conference on Research and Development in Information Retrieval (SIGIR '09) for their paper "Sources of Evidence for Vertical Selection." Fernando is currently a Research Scientist at Yahoo! Labs Montreal and Jamie is a Professor of Computer Science at Carnegie Mellon University. Distinguished Professor Bruce Croft gave a keynote speech at ECIR 2009 in Toulouse, France entitled "Query Evolution." The CIIR/IRLab held a reunion during the SIGIR 2009 conference held in Boston, MA on Wednesday, July 22, 2009. In addition to gathering together old friends, we celebrated Bruce Croft's 30th year at UMass Amherst and James Allan's 15th year. View group photo from the event. Distinguished Professor Bruce Croft gave a keynote address entitled “Unsolved Problems in Search” at the 2008 ACM Conference on Information and Knowledge Management (CIKM) in October. In addition, Croft gave a speech, “Longer Queries, Better Answers?,” as part of the Distinguished Lecture Series at the Microsoft Research Silicon Valley Campus in June. David Smith, a Ph.D. candidate from Johns Hopkins University, joined the CIIR as a Research Assistant Professor in September. Smith brings his experience in the areas of natural language processing and machine translation to the CIIR. CIIR alumnus Jeremy Pickens (Ph.D. '04) and co-authors Gene Golovchinsky, Chirag Shah (CIIR alum; MS '06), Pernilla Qvarfordt, and Maribeth Back received the Best Paper Award at the 31st Annual International ACM SIGIR Conference on Research and Development in Information Retrieval (SIGIR '08) for their paper "Algorithmic Mediation for Collaborative Exploratory Search." Jeremy is a Research Scientist at FX Palo Alto Labs and Chirag is a Ph.D. student at the University of North Carolina, Chapel Hill. The 31st International ACM SIGIR Conference on Research and Development in Information Retrieval (SIGIR '08) featured 8 papers and 2 posters from the CIIR. SIGIR 2008 received 496 submissions and accepted 85 papers (a 17% acceptance rate). CIIR attendees at SIGIR '08 included Bruce Croft, James Allan, Michael Bendersky, Ben Carterette, Greg Druck, Giridhar Kumaran, Kyung Soon Lee (CIIR Visiting Researcher, '07-'08), Jangwon Seo, Mark Smucker, and Xiaobing Xue. James Allan, UMass Amherst CS Professor and CIIR co-director, and Northeastern University's Jay Aslam are the General co-Chairs of SIGIR '09 conference held in Boston, Massachusetts in July 2009. See sigir2009.org for details. Microsoft announced that CIIR graduate student Ben Carterette was selected for a Microsoft Live Labs Fellowship. In the 2007-2008 competition, Microsoft chose only four Live Labs fellows and 12 Microsoft Research fellows.